Nature’s Nook is our reading area where children can lay back on a beanbag chair and gaze up at the branches of our enchanted willow tree. Children can explore this quiet area, while reading and learning with books and puzzles. 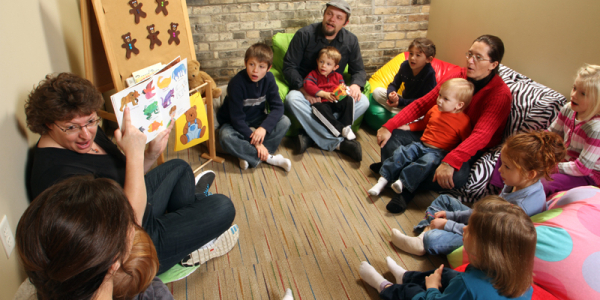 This is also our gathering area for story time on Tuesday afternoons at 2:00 and Thursday mornings at 10:30. 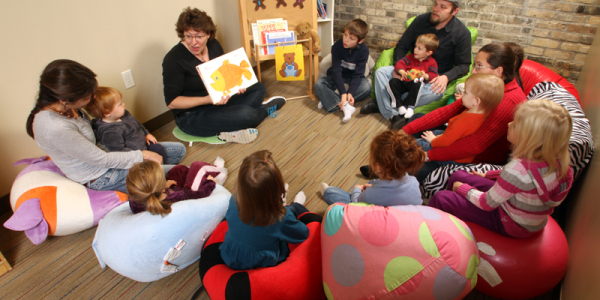 Story time includes a variety of activities including bean bags, flannel board stories, finger plays, songs and of course, books.